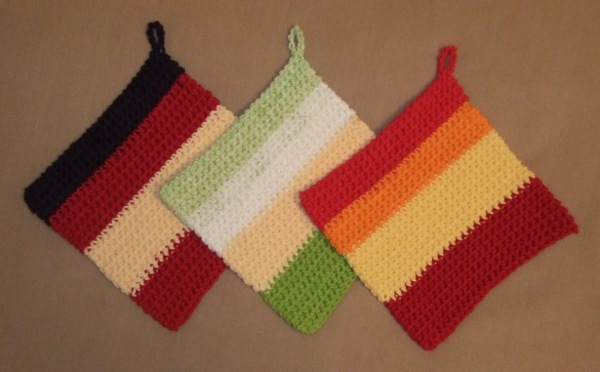 I recently shared my potholder pattern on Ravelry and got a lot of positive response. 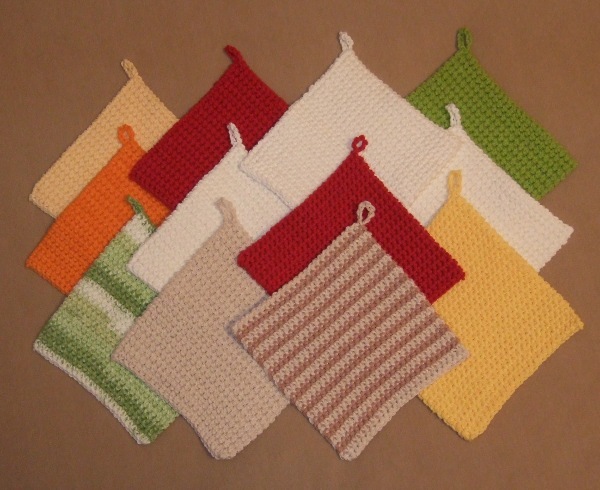 A knitting group in Oregon posted about collecting hand made potholders to include in Thankgiving food baskets for the needy and linked to my pattern. I was so excited about such a project I dug out a bunch of cotton I had on hand and whipped up a dozen and mailed them to Oregon. With the small bits of leftover cotton I made three hodge-podge potholders for myself.